Darling Foods - Syntactics Inc. 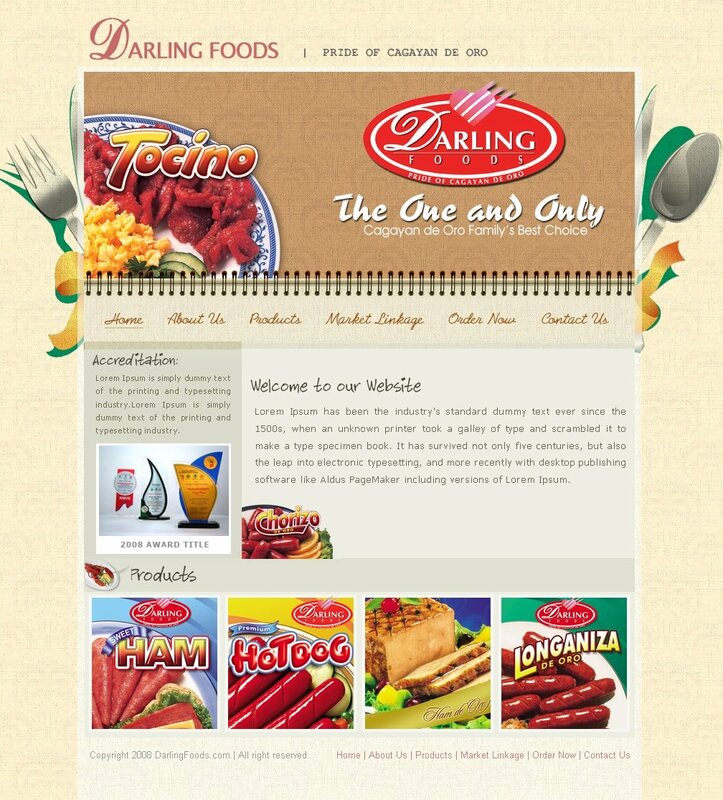 DARLING FOOD PRODUCTS the Pride of Cagayan de Oro is among the food manufacturing companies specializing in meat products here in Cagayan de Oro City. The business exists for more than twenty two years now. And the company now produces seventeen kinds of products namely pork chorizo, beef chorizo, chorizo macao, pork tocino, beef tocino, chicken tocino, longanisa, corned beef, bacon, premium hotdog regular, darling ham and pear shape ham.